The Midwest loves pizza, Philly loves sandwiches, and Google knows too much about where we eat! The amount of information you can glean from tracking location data on people’s cellphones is downright frightening. But once you accept that it's 1984 incarnate and a clear signpost of the end of our personal freedoms as we know it, it’s pretty damn cool as well! 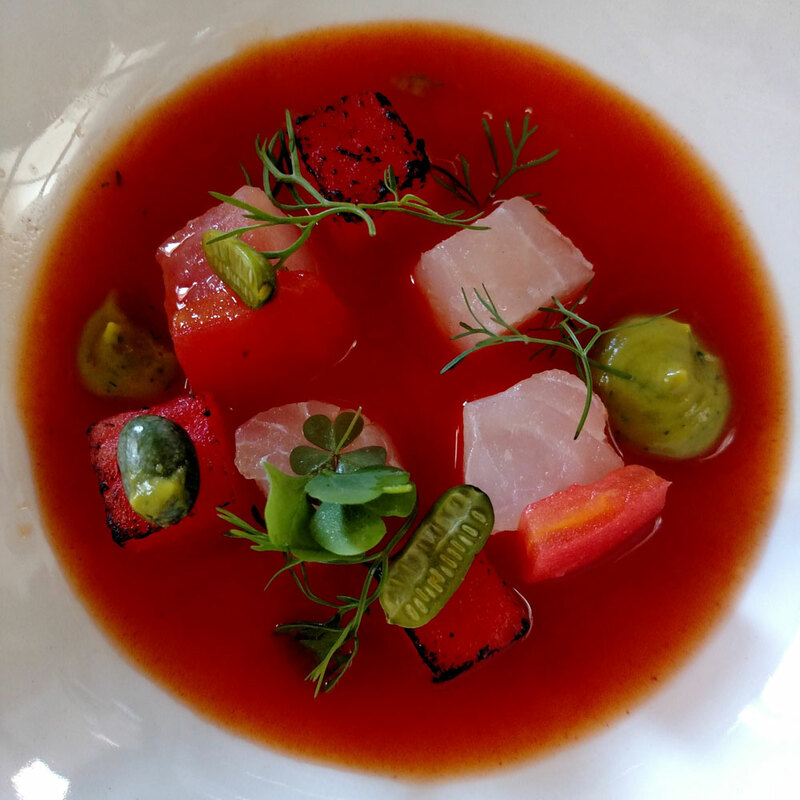 Take, for instance, the latest slew of restaurant data unleashed by Simon Rogers, data editor at the Google News Lab. By using anonymized information from people who have opted in for Google Location History, his team was able to determine the most popular cuisines in nearly every county in the country and then turn that data into amazing color-coded maps to visually show what foods are most popular in different regions. To start, Google News Lab looked at traffic to restaurants by cuisine—specifically pizza, BBQ, burger, coffee, Italian, Japanese, seafood, steak, Indian, sandwich, and Chinese. From there, they were able to create heat maps showing where these cuisines reigned by county. For example, barbeque is strongest down south, Mexican tends to grow as you head west, and Italian has a stronghold in the Northeast. But of course, simple maps are too easy by Google’s standards, so the team also created an interactive, head-by-head comparison map that allows users to choose two of the above cuisines and see where—say—Indian food beats out Chinese food. Spoiler alert: Indian is only more popular than Chinese in a small number of counties. 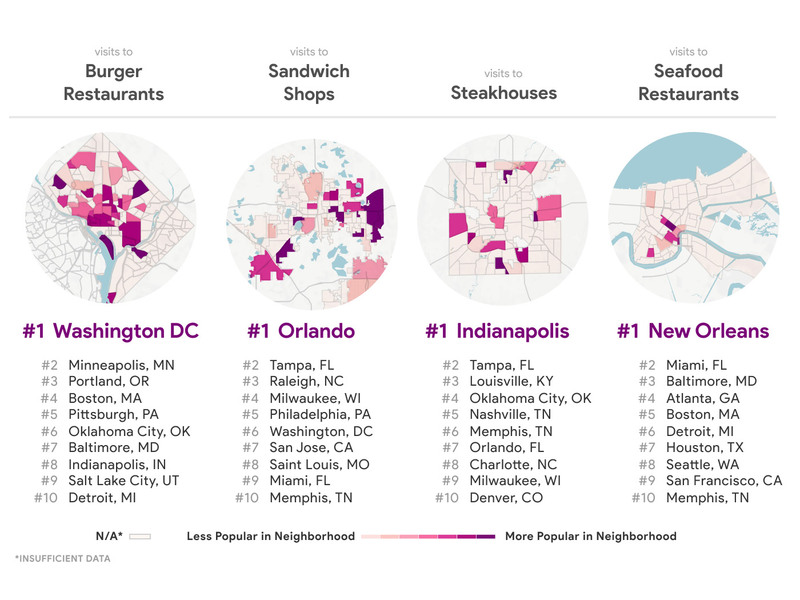 However, the coup de grace of this data is a map where all the cuisines are layered together, and you can immediately see how food preferences shake out across the entire United States. The Midwest apparently loves their pizza: Illinois, Iowa, and Missouri are shaded almost entirely pizza red. Other noteworthy findings are that the greater Philadelphia region is sandwich city, and Wisconsin loves its burgers. 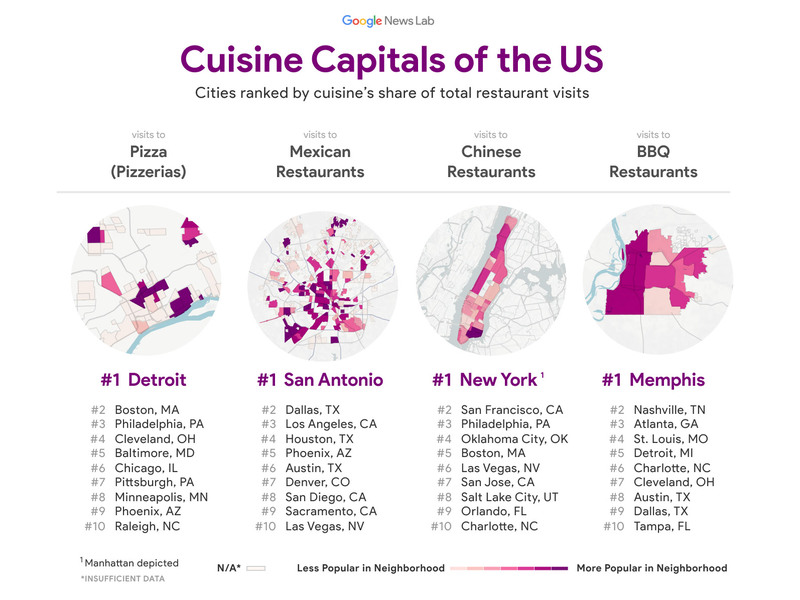 And back to our original point, in case ranking cuisines by county isn’t enough to creep you out, the Google News Lab dug even deep—ranking cuisines by city and even showing how different cuisines fair by neighborhood within a few dozen major metropolises. Yeah, we can see you Greenpoint, Brooklyn. You prefer pizza, huh? Where you going? Paulie Gee’s?? You can dig through all the maps, interactive and otherwise, on Medium.